Edith Wharton was born Edith Newbold Jones on January 24, 1862, during the American Civil War, into a world that could hardly have been more discouraging of her desire to be a writer. Her parents, George Frederic and Lucretia Stevens Rhinelander Jones, descendants of prosperous English and Dutch businessmen, bankers, and lawyers, were pillars of the fashionable New York society Wharton would depict in many of her novels. It was a society in which the only acceptable aim for a young woman of the upper class was to enter into marriage with a gentleman of the upper class and become mistress of a household. Edith's mother, a notoriously commanding and aloof woman to whom the birth of her daughter relatively late in life was an embarrassment, was perpetually critical and disapproving of her daughter's intellectual ambitions. But Edith demonstrated early a formidable intellect and a great love for books. Though her education—at the ends of a series of governesses—was intended only to provide her the social graces necessary for a society wife, she spoke three languages before adolescence, and read widely in the great literature of Western culture. She first attempted to write a novel at the age of eleven, but her mother criticized her first lines, effectively dissuading her from fiction writing for several more years. She did, however, begin writing poetry, and achieve her first publication at the age of thirteen when a magazine published her translations of several German poems. Attempting to elude the negative economic repercussions of the Reconstruction, the Jones family moved to Europe for six years beginning in 1866, when Edith was five; when she returned to America, after a life-threatening battle with typhoid fever that would indelibly mark her consciousness, she found her country ugly and deeply depressing. Though the family's move to Newport, Rhode Island temporarily revived her spirits, Wharton's affinity for Europe and her ever deepening loathing for the increasing materialism of American life would lead to many return trips to the Continent. She would settle permanently in Paris in the early 1900s. In 1885, after the death of her beloved father, when she was twenty-three and thus dangerously close to being considered a spinster, Edith married Edward 'Teddy' Wharton, a gentleman from Boston of appropriate social background twelve years her senior. The first years of her marriage were spent in frequent travel and in making the proper social rounds in New York and Newport. Edith was pleased to be mistress of her own house and garden. But as her confidence grew, and she became more and more involved in and excited by her writing, her kindhearted but intellectually unimaginative husband and their stultifyingly predictable, possibly sexless married life began to drain her spirits. In 1907, at the age of forty-five, she would begin a passionate love affair—apparently the only of her life—with the journalist Morton Fullerton. The relationship was brief, but it marked a profound emotional and sexual awakening for Wharton. Teddy, meanwhile, began to suffer from mental illness—possibly manic depression. He also took a mistress, and embezzled money from his wife to buy his mistress a house. He was institutionalized in 1912, and in 1913, Edith divorced him. She would never remarry. Wharton published her first short story in 1891; her first story collection, The Greater Inclination, in 1899; a novella called The Touchstone in 1900; and her first novel, a historical romance called The Valley of Decision, in 1902. That same year she began a correspondence with Henry James, to whom she had been introduced by mutual friends. He judged her at the time as a gifted writer but perhaps too imitative a student of his; their friendship would grow, as would James's estimation of his friend's talents, until James's death in 1916. The Age of Innocence, written soon afterward, is marked by several allusions to Wharton's dear friend and to his novel The Portrait of a Lady. The book that made Wharton famous was The House of Mirth, published in 1905. Between that book and the publication of her autobiography, A Backward Glance, in 1934, she published sixteen novels and novellas, eight collections of short stories, several works of nonfiction, and two volumes of poetry as well as many articles, translations, introductions, and reviews. The novel she was working on before her death, The Buccaneers, was published posthumously in 1938. This impressive productivity was spurred on in part by the fact that many of her works, including The Age of Innocence, were contracted by magazines to appear on a serial basis, requiring her to produce a certain number of words within a limited amount of time and space. 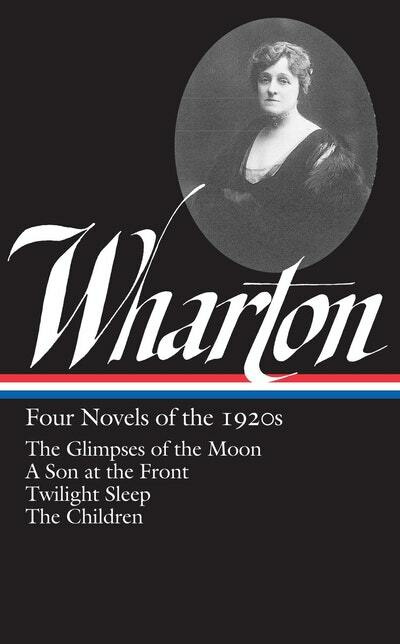 Wharton both prospered and chafed under this regime; she wrote prolifically and made a tremendous amount of money, but many critics have noted that the quality of her work, particularly after World War I, suffered under the influence of its rapid production for a mass market. Beyond her writing, Wharton's life was also distinguished by her selfless service to France and to the European refugees who flooded Paris during World War I, work for which the French government made her—the first woman so recognized—a chevalier of the Legion d'Honneur. When she died in 1937, her coffin was attended by French war veterans on recognition of her adopted country. 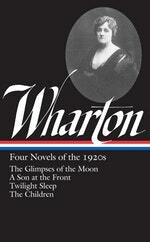 Though she was a well-known public figure, Wharton was always guarded about her private life and real feelings. Her autobiography was so unrevealing that her publishers, to Wharton's fury, tried to adjust their contract to permit severe cutting of what they called long 'dull' parts. Wharton had destroyed many photographs, letters and literary documents that might well have better illumined her life. Her letters to Morton Fullerton, which she had asked him to destroy, did not surface until the mid-1980s, many years after her death. Edith Wharton's interior life is known best through her letters to many treasured friends, through their reminiscences of her, and through the miracle of her writing. As Wharton's biographer Shari Benstock noted, 'Nothing in Edith Jones's background heralded her diverse creativity and abounding energy, nor was she encouraged her to develop her 'gift.'' Yet she did, through a force of character and imagination which enabled her to produce a body of work remarkable for its craft, its insight into human nature, and its depictions of the complex interactions between individuals and their limited social world, full of pitfalls and obstacles, in which they do or do not reach for meaning. Be the first to find out about Edith Wharton.